Meet Paris and Alexandros, our National Leads for Cyprus and Greece! I am a certified Business Model Generation trainer, entrepreneur and communication specialist. Co-founder of ENERMAP, a Climate-KIC accelerated start-up, and passionate mentor/coach for new cleantech start-ups through Chrysalis LEAP, a private accelerator. I’m also co-founder of a boutique consulting firm specializing in Business Model prototyping. Why did you become a country lead? What you learn by joining Climate-KIC is too valuable to miss out on. I’ve been there. 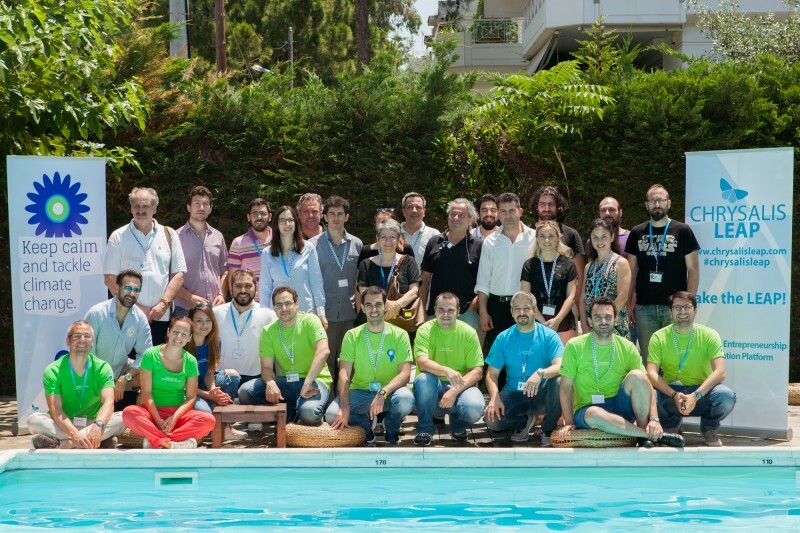 That’s why I am National Lead, and why we are excited to organize ClimateLaunchpad in Cyprus and Greece. Why do you think this competition is so important? The first step in realizing a successful start-up is recruiting the right talent, that is the largest idea recruitment effort. What better way to do this than with a massive competition? How does your organisation support cleantech start-ups? Chrysalis LEAP provides, in order of priority: 1) Passion, 2) Serious mentoring, 3) Technical Support, 4) Networking, 5) A fun experience. We have a proven track record and are eager to help more start-ups make it happen. I am an assistant professor on Renewable Energy Sources at the Cyprus University of Technology. Co-founder in ENERMAP, a Climate-KIC accelerated start-up, and passionate mentor/coach for new cleantech start-ups through Chrysalis LEAP, a private accelerator.